Milwaukee is one of the 25 largest cities in the United States with a population of nearly 600,000 people. It is also the largest city in Wisconsin as well as an international seaport. Milwaukee is located in southeast Wisconsin, on the western bank of Lake Michigan, and an hour and thirty minutes west of the state capital, Madison. The Milwaukee metropolitan area has a population of approximately 1.7 million people. Milwaukee is home to ten Fortune 1000 (Five Fortune 500 companies)company headquarters, including such household names as Johnson Controls, Northwestern Mutual, and Harley-Davidson. 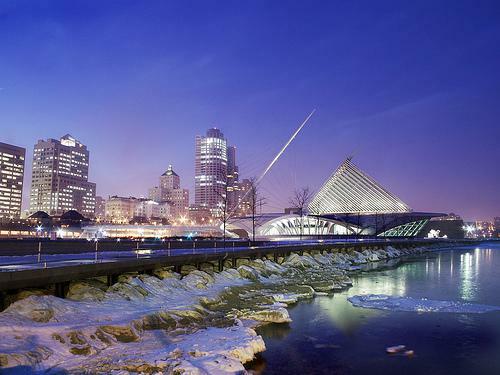 Milwaukee is well known for its diverse cuisine, including American, English, German, Greek, Indian, Mexican, and more. If you're interested in Milwaukee, please email your resum� with an introductory letter to to Dayna Lynn at dlynn@fsgltd.com or fill out the form below.